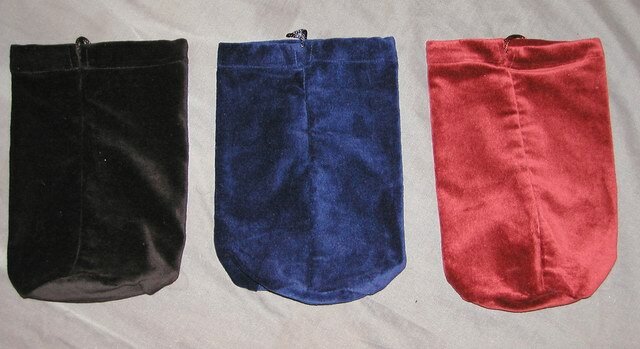 Bagged Wine has a complete kit of high quality, stain resistant cotton velvet bags gift bags. The bags tightly close around the neck of the wine bottle with a color-coordinated drawstring and cord lock. The bags are perfect sale in tasting rooms, wineries and wine retailers.